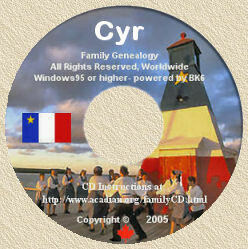 Acadian Genealogy Homepage; Steep consequences for trash-talking on the Internet! Many people wrongly believe the Internet is a 'Wild West' where freedom of speech is absolute and anonymity is guaranteed. They post comments, blog, e-mail and tweet in ignorance of the law. But the law is clear. The same laws that apply to old-school-media like newspapers, magazines, radio and television, apply to communication and publication via the Internet. Yes, but many people don't use their real names in Internet communications, so they are protected by their anonymity, right? NO, that is not right! Whether you blog about someone you believe to be a "shank" or a "ho", set up a fake Facebook page to harm someone's reputation or post defamatory comments on a message board, all under an anonymous or fake name, the law is the same! The person you've harmed has the right to apply to a judge for a court order compelling the release of information that can lead to your identity. And the court order will be granted, once the judge is satisfied there's a reasonable case of defamation. The court order can be directed to your Internet Service Provider (ISP), the owner of a blog, your e-mail provider or any other organization that might have information leading to your identity. Right or wrong, courts are happily providing these orders. The woman who called another model a "shank and a ho", was outed by Google following a court order. A Halifax, Nova Scotia newspaper was ordered to provide information on anonymous online posters. ISP's have been ordered to provide information on persons who set up fake Facebook pages. These are but three of many examples of such court orders. And some organization holding information, are releasing it without the necessity of a court order. If you've defamed someone and an organization holds information that could lead to your identity, there's little to stop the organization from releasing the information, without a court order. Also, while many ISP's insist upon receiving a court order before releasing information, they often won't dispute the right of an aggrieved party to obtain the order. Many believe the Internet should be a bastion of free anonymous speech. But free speech doesn't mean speech without repercussions ["... for every action, there's a re-action", my father would say], if you defame someone or break the law. There's no more right to defame another or break the law via the Internet, than in a newspaper. As one judge has stated... "there is no compelling public interest in allowing someone to libel and destroy the reputation of another, while hiding behind the cloak of anonymity." This applies even more to Internet communications which have the ability of moving around the globe, while replicating at lightning speed. A comment on one site can easily find its way to multiple sites, and trying to effectively counter defamatory statements, can resemble a game of 'whack-a-mole'. Once you've been identified and sued, don't think for a moment that a court will only impose a "slap on the wrist". After all, you may think... "it's just the Internet; people don't take postings on the Internet seriously." Maybe some don't, but judges do! A 2004 Ontario Court of Appeal decision, awarded damages of $125,000.00 in favour of a company accused online of having committed fraud. Earlier this year (2010), a British Columbia Court, awarded damages of $425,000.00 in favour of a mining company. Sure, these plaintiffs might never get paid on their judgements... the defendant in the B.C. case is reportedly out-of-the-country and collecting from him will be difficult; but, do you want to leave the country or declare bankruptcy to avoid a judgement? So, a word of advice to everone... before you post your witty remarks, take a careful second-look at what you've written. Deleting it may be your best bet!